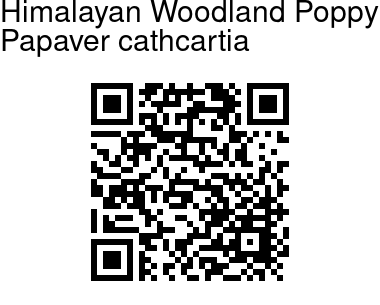 Himalayan Woodland Poppy is a perennial herb, 40-80 cm tall, sparsely branched, covered with soft hairs. Pinnately lobed leaves, 5-11 cm, are composed of rounded lobes and toothed, slightly hairy. 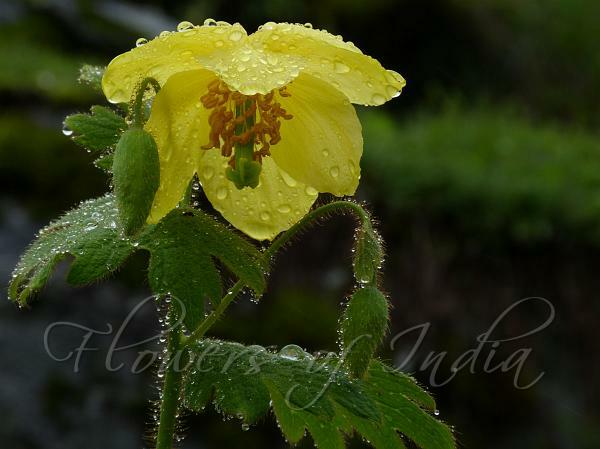 Flowers arise solitary and terminal, 5-7 cm across, with yellow petals 2.5 cm, 3 cm wide, with yellow stamens. Capsules are cylindrical 9 cm long. Himalayan Woodland Poppy is found in Eastern Himalayas, from eastern Nepal to Bhutan and Sikkim, on rocky slopes, forests, at altitudes of 2700-4200 m.
Photographed beyond Tsomgo lake, Sikkim.